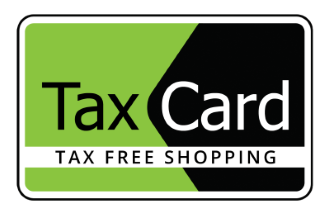 Tax Free Shopping – it is value added tax (VAT) refund service to foreign (not EU) residents that purchase goods inLithuaniaand export them out of EU territory. Goods that have been purchased inRepublicofLithuaniamust be exported in the following three months from the purchase date, otherwise Tax Free shopping services are not allowed.Tax Free Shopping services inLithuaniahas a minimal purchase amount. Minimal purchase value in a single receipt must be at least 55 Eur in order to receive a refund. – Refund payment. Refunds can be obtained in cash at Lithuanian border zones at Tax Card representatives’ site. Refund can also be obtained by transfer to credit card or personal account trough selected payment system – PayPal, Payza,Western Union, WebMoney, Easypay, MoneyGram and Alipay. 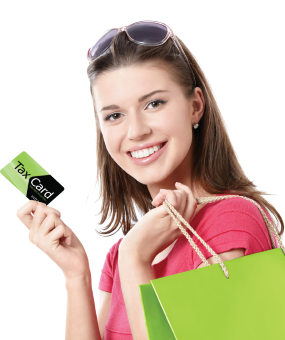 To obtain refund via transfer to personal account, You will need to send customs-approved Tax Free form by post indicating return address of Tax Card. After we receive Your Customs-approved Tax Free forms, we will immediately transfer Your money.